So Thursday, the day of my 21st birthday! 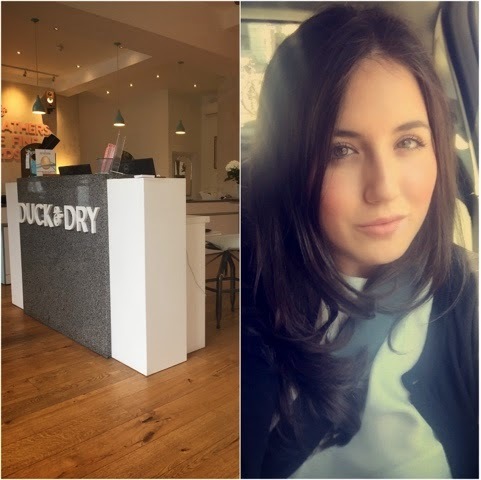 I started the morning off by heading to Duck and Dry on Kings Road for a blow dry so my hair would be ready for the day ahead, check them out here! They did a great job and I was really happy with the look I went for. 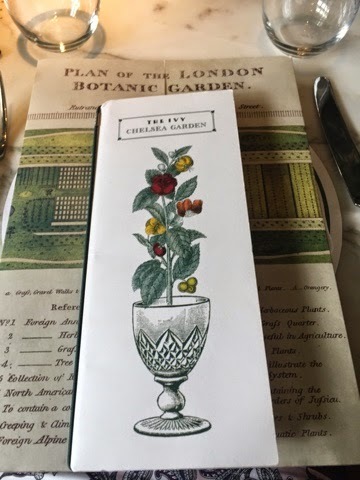 After meeting up with my parents who travelled from Lincolnshire to celebrate with me we collected Dejon and headed to The Ivy, Chelsea Garden. We had a beautiful table close to the window to look out at the gorgeous garden which is going to 100% be a hot spot this summer. 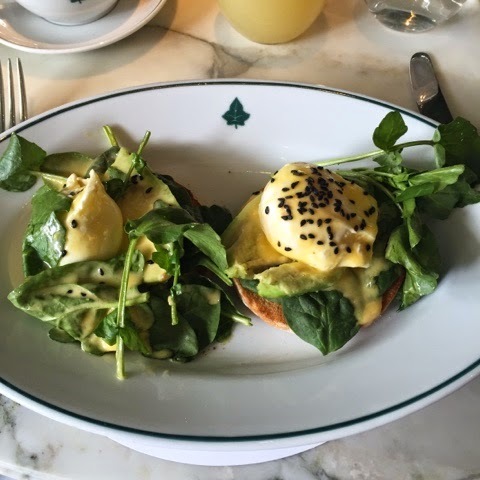 I ordered the Avocado and Spinach eggs Benedict. It tasted so fresh and was a great light option to start the day off with as I knew lunch was going to be a 3 course affair. The staff were attentive and the location is perfect. I can't wait to go back soon for cocktails and dinner. I will certainly be heading to their lovely garden this summer. 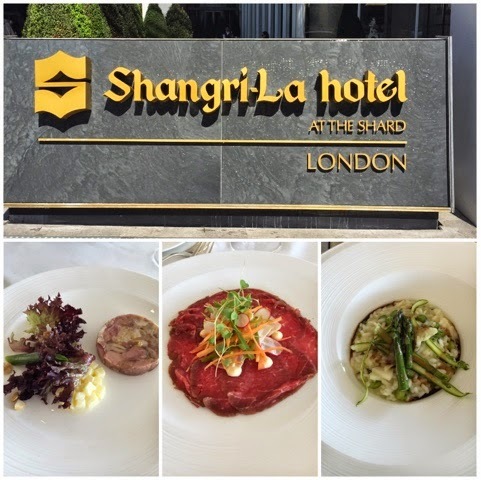 Later on in the day we headed to the Shangri La Hotel in the Shard. The 35th Floor is home to Ting Restaurant. 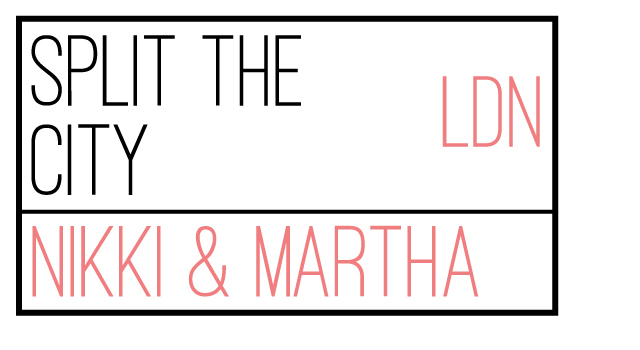 With beautiful decor and stunning views across London what more could you want? The food was delightful... 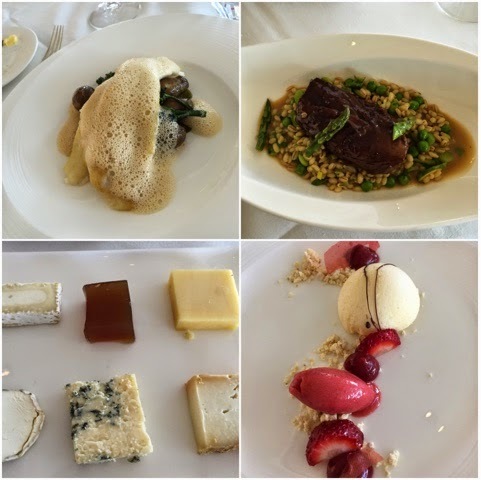 I really enjoyed each course. For starters I went for the Ham and a Chicken Terrine, mains was the Lamb served with barley, wild garlic and a mint purée and dessert finished with the Cheese plate. Other dishes which you can see in the photo are starters: beef Carpaccio and the risotto. Main, Sea bream with burnt butter and broccoli and this amazing dessert which Dejon was kind enough to let me sample, strawberry champagne sorbet. As we didn't get a window table during the meal, a very kind supervisor came over at the end of the meal and offered us a glass of champagne by the window to finish off the amazing food we had devoured! 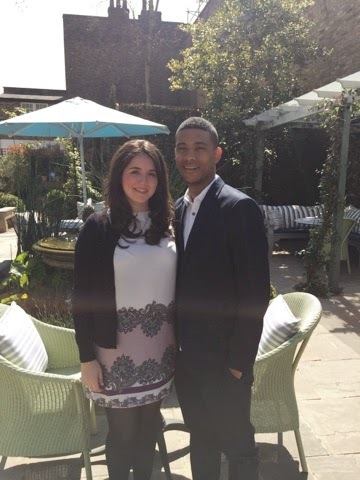 It was safe to say the views and the food are really special at Ting. 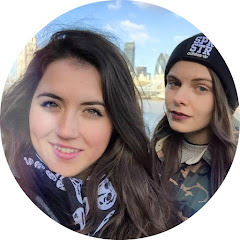 After a bit of very exciting shopping which I will share all with you very soon... (KEEP YOUR EYES PEELED) and some more champagne it was time to pop home to get changed for the evening and off to my favourite cocktail bar on Kings Road, Azteca. For drinks with my parents, Dejon and my closest friends! It was a blissful way to end the perfect day!